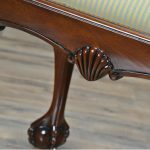 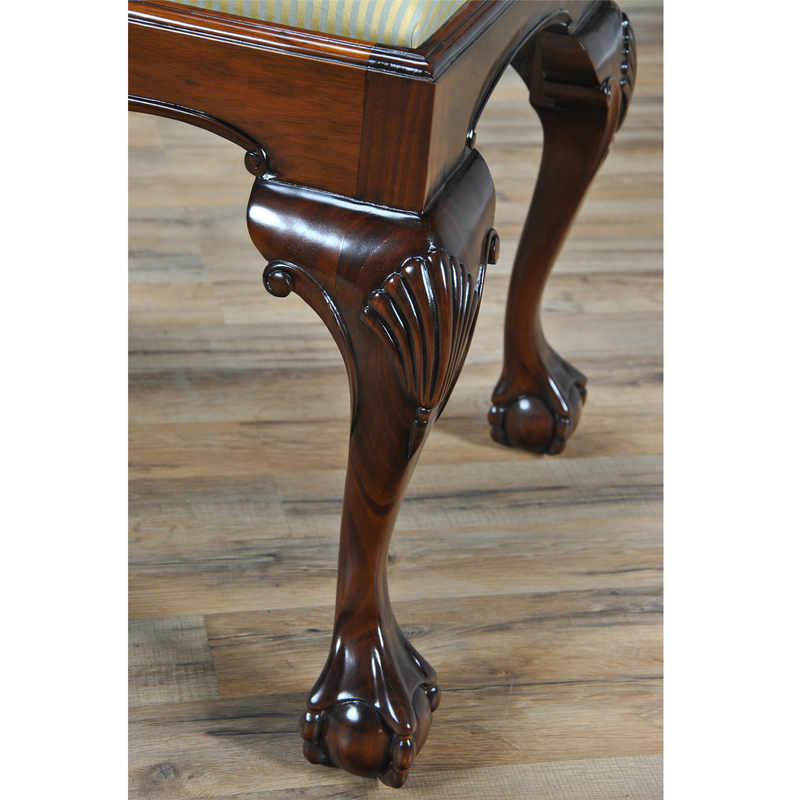 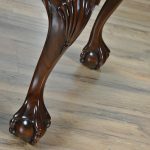 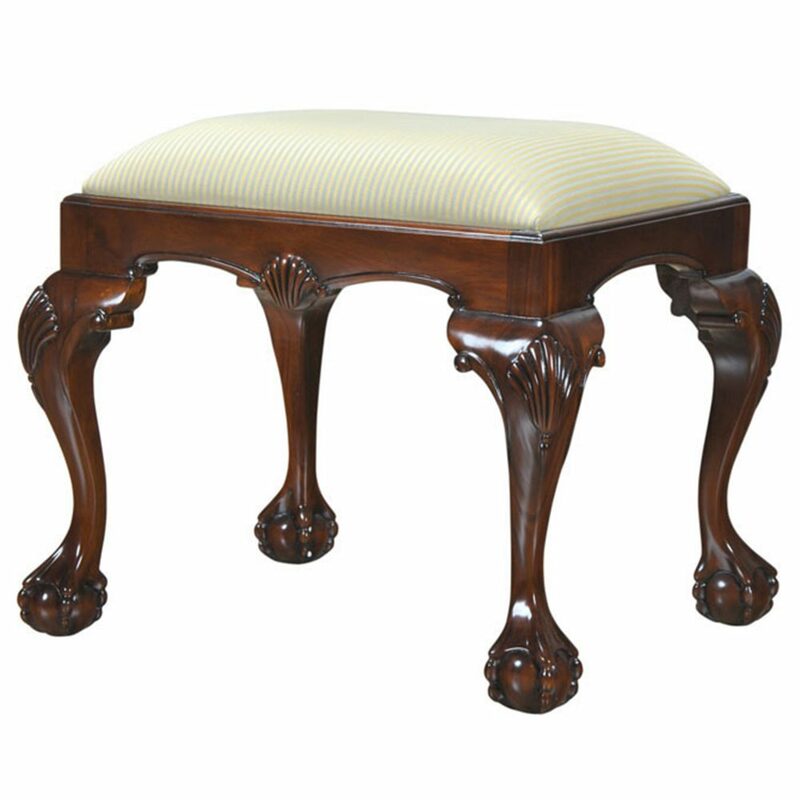 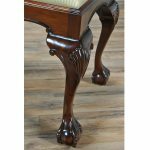 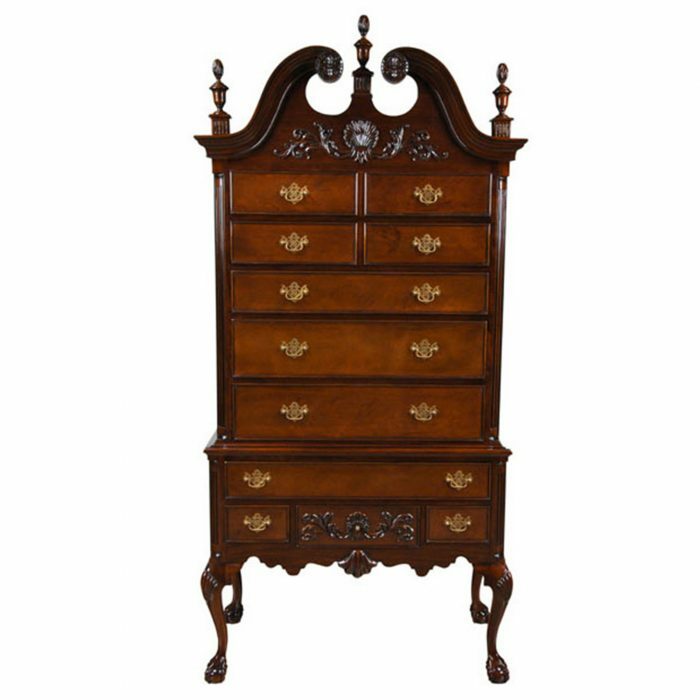 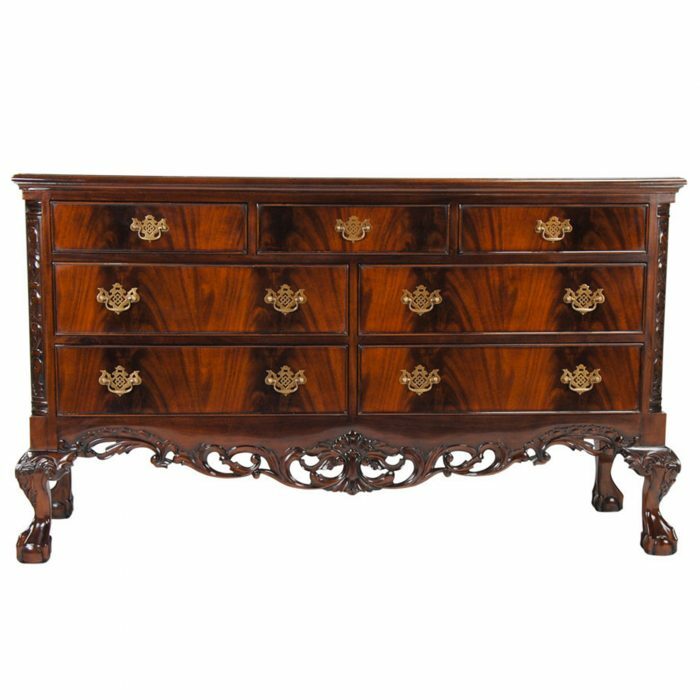 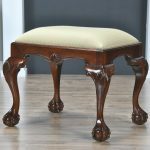 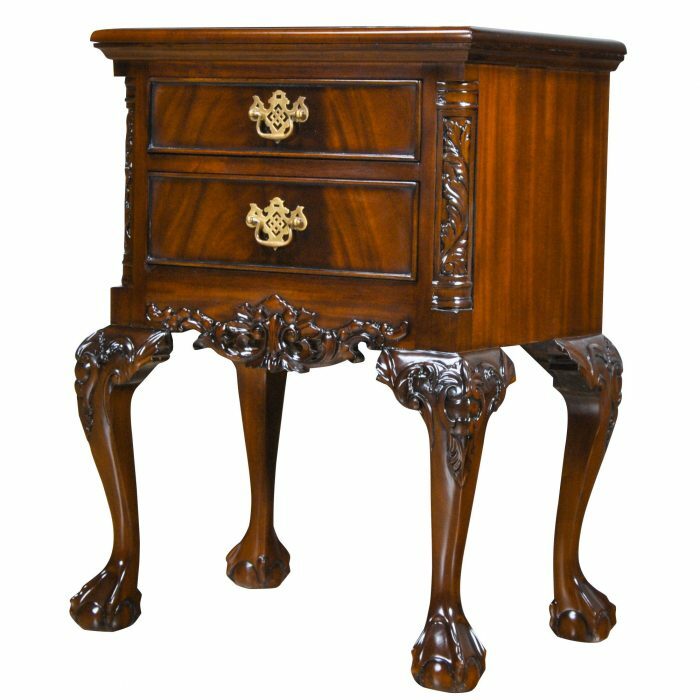 The Small Chippendale Bench is a hand carved, Chippendale style bench carved from solid, kiln dried, plantation grown, mahogany and features an upholstered slip seat on cabriole legs and ball and claw feet. 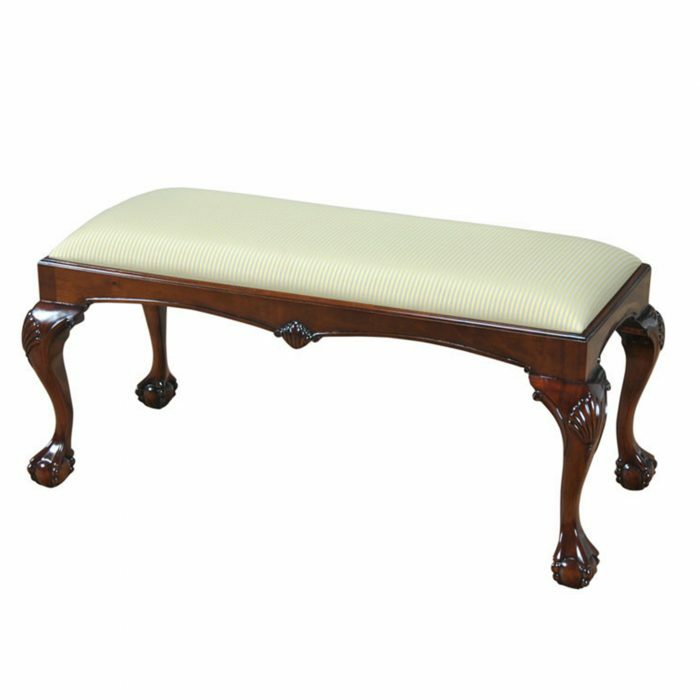 Beautifully finished with neutral upholstery the Niagara Furniture Small Chippendale Bench is complete and ready to use in your home. 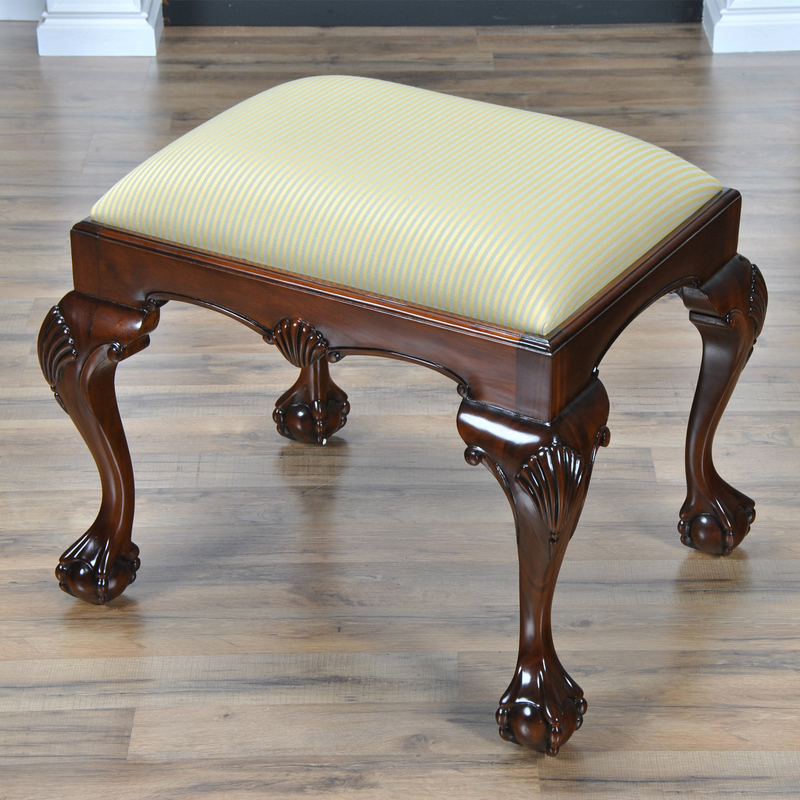 Slip seat is easy to remove with four screws should you decide to add a different fabric. No assembly required!